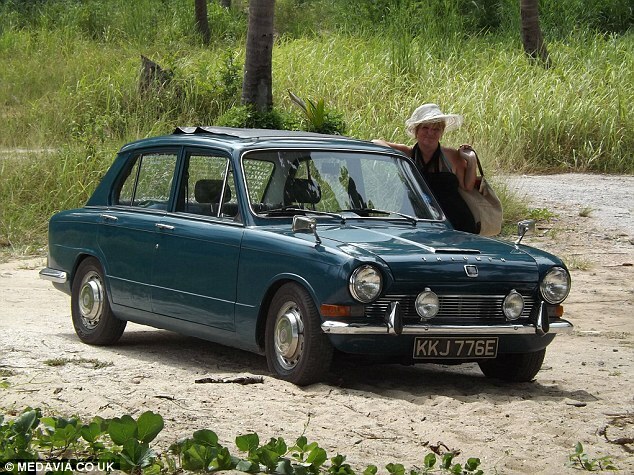 A couple have completed the adventure of a lifetime by travelling for 127 days across 16 countries in a classic car they bought for £500 on eBay. 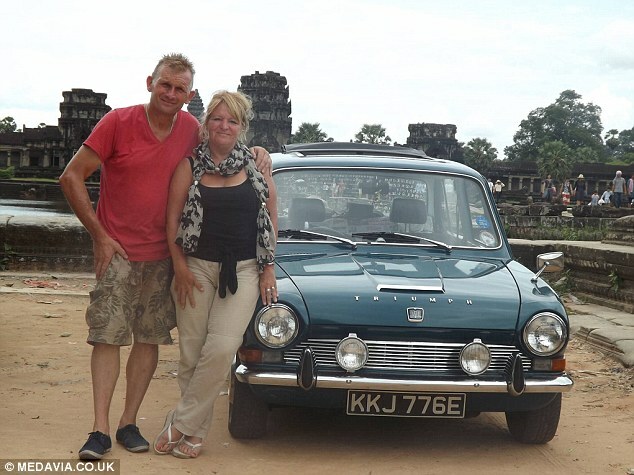 Clive, 54, and Gillian Raven, 53 – who have been together for 33 years – travelled 17,342 miles in a blue 1968 Triumph 1300 after starting their trip from their home Sheffield in June. They visited France, Germany, Poland, Czech Republic, Estonia, Lithuania, Latvia, Russia, Mongolia, China, Laos, Thailand, Cambodia, Malaysia and Singapore – arriving back home via India in October. Mr Raven said: ‘We have been on plenty of package holidays – we’ve been to Australia and we’ve done Thailand – but we wanted to do something really different. Having a car gave us freedom. 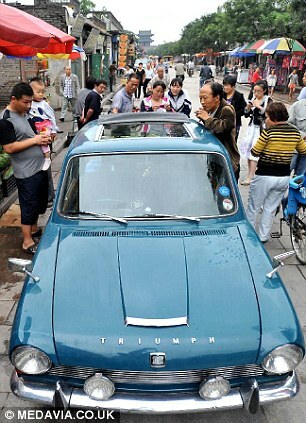 The couple staggered their journey by alternating driving duties, spending one day out of every four days on the road. They spent their nights camping, or staying in budget motels. 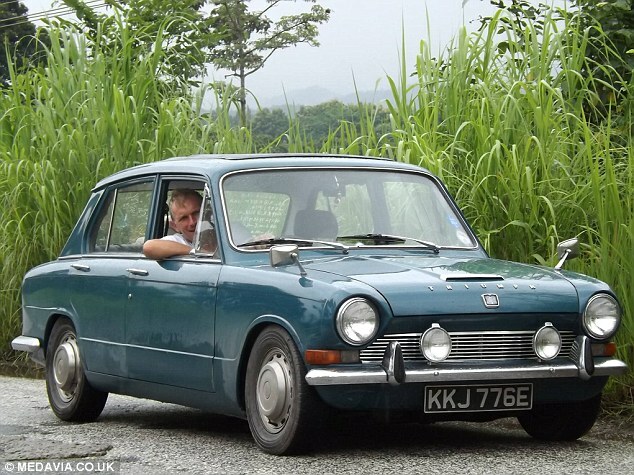 Mr Raven, a self-employed diesel plant fitter, bought the Triumph for £500 on eBay and restored it himself in preparation for their adventure. He said: ‘People thought we were mad. They said we would never make it. They kept asking me if we were worried about breaking down or getting injured. The wide variety of environments they travelled through brought particular challenges. 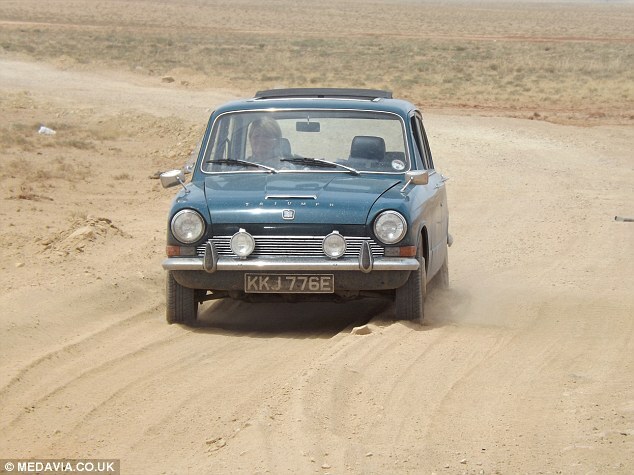 Mr Raven said: ‘In the Gobi desert we had a bit of a problem with fuel evaporating because it was so hot. ‘I had to do a few repairs on it along the way, but only small things, and I had some spares with me in case of emergencies. 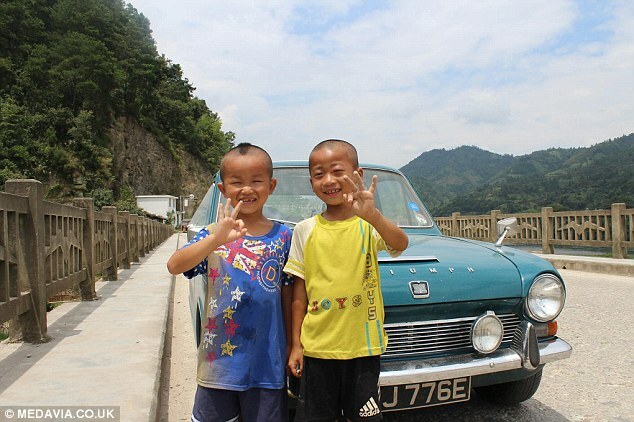 Local people warmed to us when we drove through their villages. The pair saw the Kremlin in Moscow, viewed the Terracotta Army in Xi’an and ate goats’ cheese at the table of a hospitable Mongolian family. Mr Raven said: ‘In China we were required to stick to an agreed route and we were needed an official guide with us in the back seat the whole time. 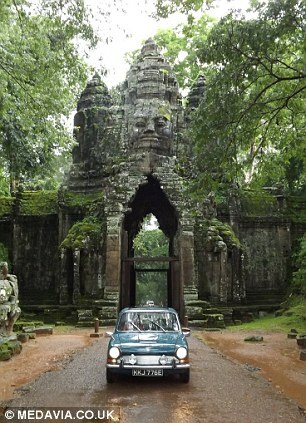 Mr Raven estimated the trip cost £10,000. At one point the couple encountered some stick-wielding men, whom they took to be bandits, while travelling through India. Mr Raven said: ‘We started to drive at night in India, because we didn’t have much time left and we wanted to see so much. One night, we found ourselves travelling along a road which we were told was particularly dangerous. ‘We were the only ones on the road. Suddenly, I saw a road block of piles of tyres in the way. As we got nearer I saw it was manned by several men with sticks. Despite being stuck in the car together for hours at a time, the couple say they did not argue once. 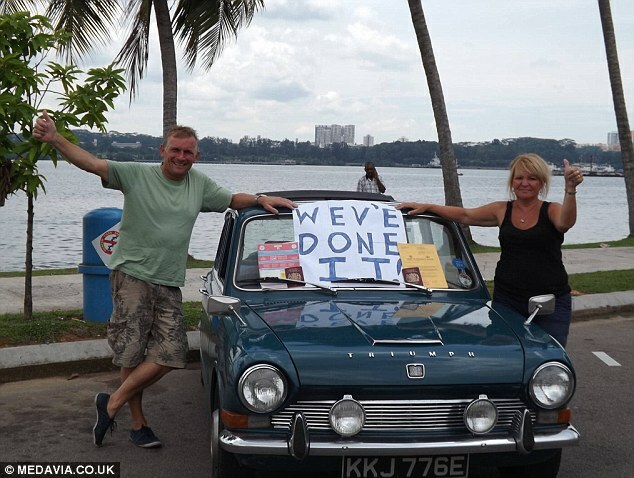 The couple are planning on making a similar journey next year, and hope to raise money for charity on their next drive.